A burgundy 'burberry' style check with large medallion detail. Long straight scarf. 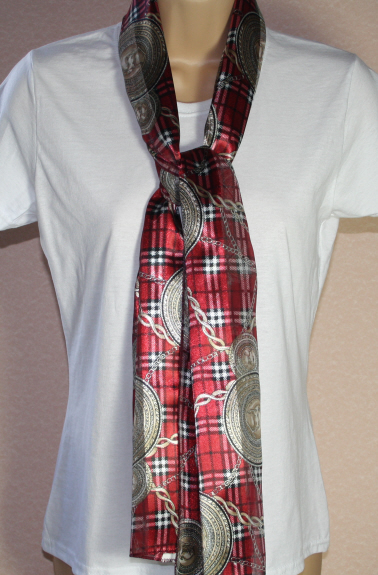 Black Checked Ladies Scarf. A smart black 'burberry' style checked scarf. Long straight scarf.